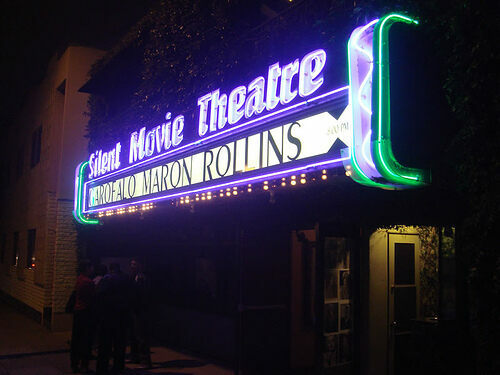 Sorry, The Silent Movie Theater is permanently closed. One of the most beloved theaters in the country, the Silent Movie Theater is also the last of its kind. It was opened in 1942 by John and Dorothy Hampton, an Oklahoma couple, at a time when silent films had all but ceased to exist. During the next few decades, John Hampton was responsible for the restoration of countless silent films, protecting these treasures of cinema history. Venue for strange sideshow displays and musical acts. Sadly, the Hamptons closed the theater in the 1970s, but it was reopened by a family friend, Laurence Austin, in 1991. However, in an odd turn seemingly pulled straight from a movie, Austin’s tenure with the theater came to a dramatic end soon after. In 1997 Austin was gunned down in the theater lobby by a hitman hired by Austin’s business partner in a bid for his inheritance. 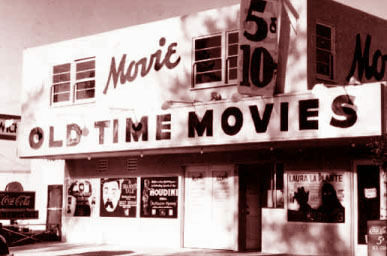 The theater was once again rescued two years later, and opened to a screening of Charlie Chaplin’s Modern Times, Hollywood’s last silent feature film. 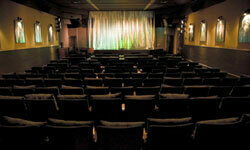 Located in the heart of Hollywood, the theater currently holds screenings every week. It continues the tradition of silent films, with live organ accompaniment, on the first Wednesday and one floating Sunday afternoon of every month. In addition, the theater has been fully restored to its original, vintage 1940s art deco design; and also updated for the modern age with a larger screen, state-of-the-art sound, and nicer seating (including some very comfy sofas). 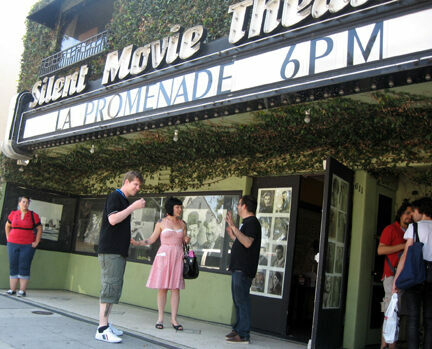 The theater now hosts numerous premieres, indie films, special events and private parties, making it one of the most historically significant and culturally vibrant theaters in the country.Update 2017: Cinefamily will “permanently shut down” following allegations of sexual harassment that led to two high profile exits from the organization. Silent Movie Theater will be closed and renovated by the landlord.